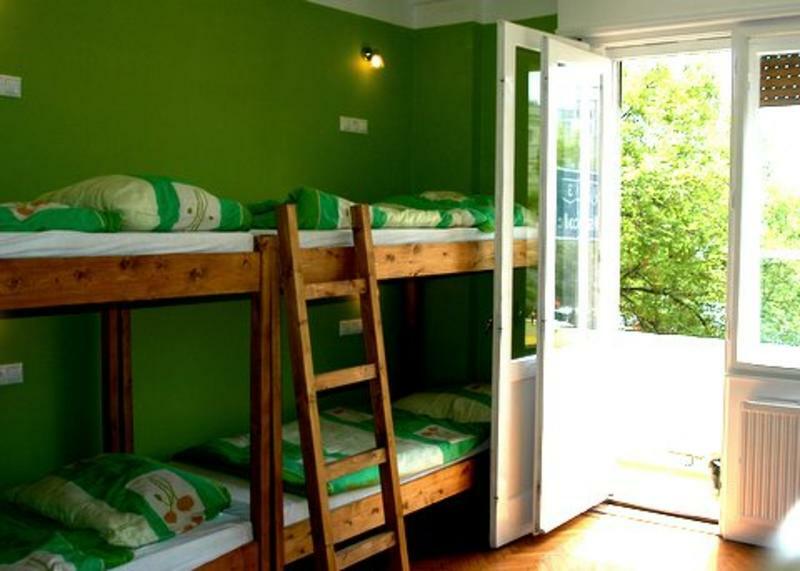 Alice hostel is a newly renewed family operated hostel with place for maximum 16 guests. It is located near the Keleti railway station in down town Budapest, if you arrive by train you can drop off your bags in less than five minutes and get started. Also you can reach every point of the city within minutes by public transportation or just start walking on Budapest historical streets. Our staff will give you all information you need. If you would like to go shopping, one of Europes biggest shopping centers is within walking distance. 24 hour shops, restaurants, bars and cafes are very close, and we offer a great breakfast if you wish. Free tea and coffee all day. Double room: romantic room with nice double bed. Reading lights over the bed. Small bathroom is next to it. Nearly ensuite. Ideal for couples. Female Dorm: beautiful sunny room with own entrance to the double showers and toilet. Reading lights for all beds, the main light you can switch of from your bed. Mixed Dorm: Beautiful sunny room. Reading lights for all beds, the main light you can switch of from your bed. And balcony. - You have to take bus Nr200 to Kbanya Kispest Subway station, then take the subway Nr 3. for 5 stops till Nagyvrad square, then take tram Nr24 heading Baross square 6 stops till Baross square. - Or take subway Nr 3 10 stops till Deak square, then subway Nr.2 heading rs vezer square 3 stops till Keleti rail station (Baross square). At Baross square you will see an overpass, go left at the overpass thats the Fiumei street..
- Go left at the overpass and you will shortly arrive at our hostel. - Take Subway Nr 3 direction ujpest 1 stop till Nagywarad square then tram 24 till Baross square.